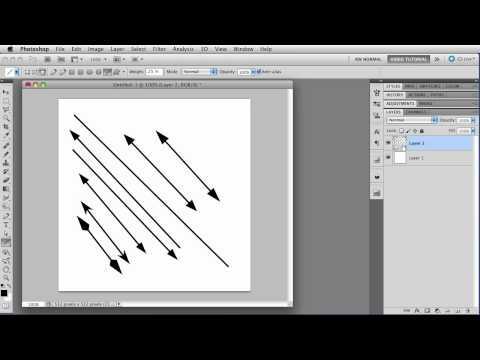 This tutorial is for Photoshop CS5 and below. The Shape tools all changed quite a bit in CS6. So much that I'm going to have to make a new Tutorial! But until I can get that done, there are a few things you should know. The Arrowheads are still there; you'll find them under the little gear, in the rightmost section of the Options bar. They work exactly the way they always have. To get dotted lines around your line, use the Stroke Options (drop down menu to the right of the stroke width text field.) Use the More Options button to stroke inside, middle, or outside the path. You can also make your own dashes, just like we do in Illustrator. If you just want a dashed line, You can now Fill the line with any of your Patterns! So all you have to do is make a Pattern that has the kind of dash you need, and fill with that. Hopefully, I'll have the new tutorial done soon after the turn of the year. The new options are really nice! I can't wait to show them to you.